Devon Cars are your local minicab provider. We are located in the heart of Kilburn, giving you the best prices in town. Devon Cars we believe in offering great value fares to all our customers. We would not wish for you to be wasting money on over expensive minicabs in Kilburn or in surrounding areas. Kilburn is a vibrant area of northwest London, with several great places to eat, live entertainment to enjoy and well-known landmarks to admire. Kilburn is ideal for tourists wanting to explore during a sunny weekend, and also an ideal location for business during the week. Britain’s most famous zebra crossing can be found in Kilburn, on Abbey Road, outside the studio where The Beatles recorded several iconic tracks. The crossing features on the cover of the group’s 1969 album, Abbey Road and tourists still regularly stop traffic there to take pictures of their own. Other local attractions in Kilburn include the Tricycle Community Theatre and Lord’s Cricket Ground, both well worth a visit and easy to get to via taxi. Kilburn is well placed if you need to get to the airport. Devon Cars is based locally, and can get you across town in time to catch your flight quickly and conveniently. 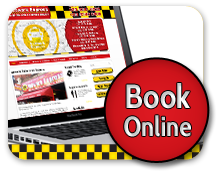 You can pre-book one of your cars, or call us when you need one, and we will respond as fast as we can. We offer fixed rate prices and a free ‘meet and greet’ service at the airport terminal. We can also get you to all mainline train stations in and around London to connect with national or international rail services. 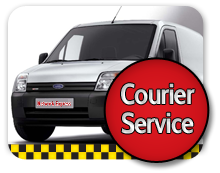 Door to door service - We can get you to and from your hotel at any time, with our 24/7 door-to-door minicabs in Kilburn. Need help to visit places or find restaurant in London we can help. There are plenty of great places to visit in Kilburn and we would love to get you to them. Don’t forget to book your Devon Cars taxi to collect you from your destination and bring you back home again to Kilburn. Whether you are a tourist, business visitor or local, Devon Cars offers some of the best rates and customer service in Kilburn! On the whole our minicab service comes with full peace of mind, low fare and good care of our customers. 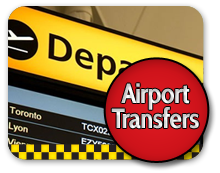 Call us now on 0203 002 9190 to book your next local or airport transfer minicab service.